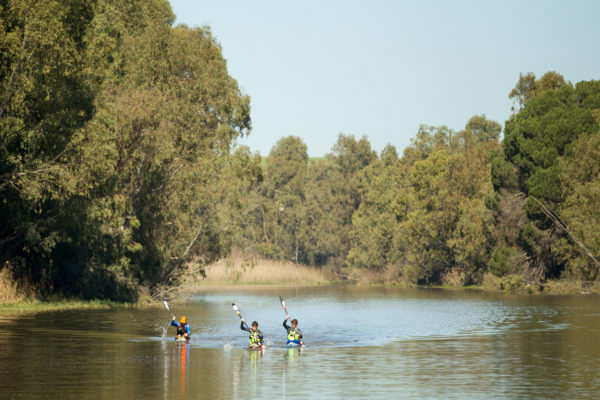 With a cold front approaching the Western Cape this weekend, Berg River Canoe Marathon organisers are hoping that this rain will mean that the race can follow its traditional route from Paarl to Velddrif from 12-15 July. Paarl – The fate of the 2017 Berg River Canoe Marathon hangs in the balance as a well-timed cold front makes landfall in the Boland on Sunday, with expected rains that could rescue what is looking to be a very tough four day outing on a low river. With the Western Cape still in the grip of the drought that has ravaged the region for over a year, and water restrictions tightening as dam levels continue to drop to critical levels, paddlers have suffered this winter as the Berg River has been running desperately low. The organisers of the race have announced a contingency plan, based on the low water level, and the spreading hyacinth that has chocked the river between Grensplaas and Gouda, covering the last quarter of the first stage and the first section of the second stage. If the rains significantly raise the level of the river, then there is a plan to start the race higher of, running the first stage from the Franschhoek Bridge and ending at Grensplaas. 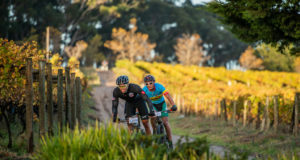 Should the rains have little impact on the upper reaches of the Berg River below the massive Berg River dam outside Paarl, then the option will revert to starting at Gouda and finishing on Misverstand dam after doing a lap on the dam to make up the 60km distance of the first stage. In these circumstances, Stage Two will be a repeat of the first stage, but without the loop on the dam. 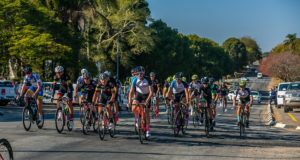 The entry is devoid of all the big names in Western Cape marathon paddling, bar regular top tenner Heinrich Schloms, who is quick to admit that he is undertrained. Berg icon Graeme Solomon is playing a wait-and-see game before thinking of an eleventh hour entry. Defending champion Hank McGregor is away on a global surfski tour, as is the winner of the recent Pink Lady SA K1 marathon Jasper Mocké. With just days to go before the race, there are only three senior men entered. One of them could be the first international paddler to win the 56 year old title, in classy Hungarian Adrián Boros, fresh from a double podium weekend at the European Marathon Championships. He will be in a strong position to be able to build a campaign around his two fellow international team mates Keith Moule from the UK and Czech star Petr Mojžíšek. The women’s field is fronted by defending champ Bianca Beavitt, with Kirsten Penderis and Master Robyn Henderson as podium contenders. Beavitt could well race inside the record for the highest overall position achieved by a female paddler in the Berg, set by Alexa Cole in 2005 when she finished 18th. For the brave paddlers that are already entered, it will be a nervy weekend as they wait for the cold front to arrive on Saturday night, and then await news of the impact that the rains will have on the upper reaches of the Berg River. The race organisers will make the final call on the race route on Monday morning.